Efi, bringing you the only news that matters! 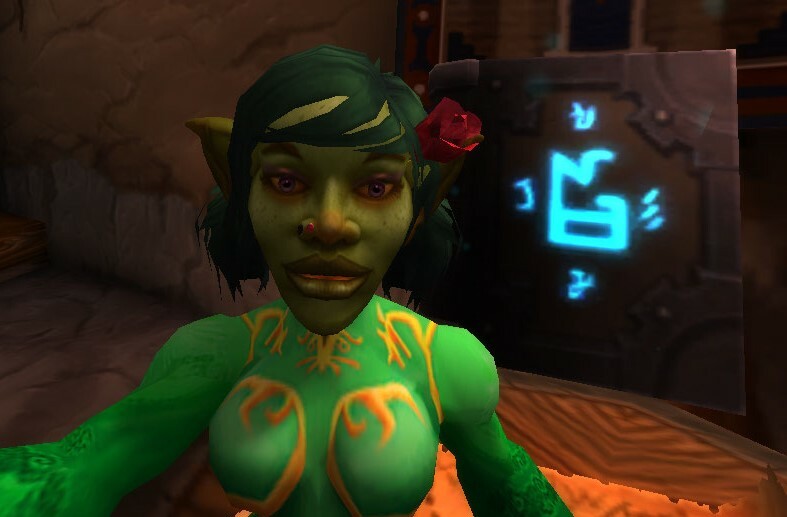 It’s your favorite Goblin Shammy Farseer Efi and it’s my pleasure to welcome you Reciprocipeeps back to the Reciprocity Report! Welcome back to the Reciprocity Report, this weeks report for the week of September 18th-24th 2016 is brought to you by Runas the Shamed who would like to ask, “Got any more of that ancient mana?”. It’s so great to be back raiding with Reciprocity! So much has happened in the last couple of weeks since the release of Legion. Many dungeons, heroics, and mythics as well as countless world quests brought 27 people up to a high enough gear score to enter the Emerald Nightmare on Wednesday! That brings us to the weekly raid report. 27 people joined us and after only 3 attempts, we downed Nythendra getting 16 members loot. I must say, I have not experience the raid night jitters in a very long time and because of Blizzard’s hard work and of course the dedication of my amazing guildies, I have experienced them once again! 18 people joined us and we started on Ursoc. After 3 attempts, we downed him getting 8 members loot. We then moved on to the Dragons of the Nightmare and worked at getting the dance right. We formed 3 different groups and ran some mythic dungeons to get guildies gear and finish up some quests. A couple of our groups even did Mythic plus dungeons and even though there were some bugs, they were able to persevere and get the job done. A couple of reminders in relation to raiding. We are all working on getting the feasts and cauldrons for our raid team, any herbs or food items, especiall raw bacon, that you guys can contribute will make this process even smoother. Remember to do the bacon world quests whenever they are available! Thank you to those of you who have already contributed! Also, remember to arrive to raid at least 10 minutes prior to start time so we can get in and be started by 8:30pm server if possible. This makes things go much more smoothly. Remember to watch all the strat videos you can on the upcoming bosses so you can have a better awareness of them for our next progression night. Upcoming guild events: Currently we are working on getting geared for raid so there were no guild events this week. We’ve been spending our time instead running dungeons, completing world quests, and leveling professions. This weeks calendar of events: This week we saw pirate day come and go offering a new toy that enables you to hurl salty insults to all around you. We also saw the beginning of Brewfest which will run through October 6th. There is a new sausage hat for us to win this year to don’t forget to collect those coins because everyone wants a sausage hat! Current Events: As we work towards cauldrons and feasts for our raids don’t forget to contribute if you can. Any herbs put in the guild bank will help go towards flasks and making cauldrons. Also please remember to do your bacon quests and place the raw bacon in the guild bank to be used for feasts for the raid. If you have any questions about what other materials might be needed feel free to ask one of the officers. We are also working on getting gems and enchants for members to use so anything you can contribute would be awesome! Thank you all for being so amazing and making Reciprocity the home we all know and love! That’s going to conclude this weeks Reciprocity Report. To keep in touch with what’s going on in Reciprocity, visit our webpage at reciprocity.guild.ninja and add us on twitter @ReciprocityUS. I’m Efi, and until next week, I’ll be seeing you in Azeroth!